Even for those of us getting on a bit, ten years, a whole decade, is a significant chunk of time. 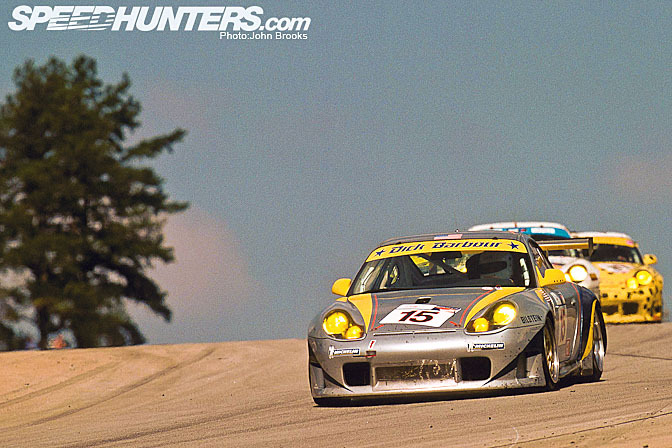 Ten years ago saw the third edition of the instant endurance racing classic, Petit Le Mans. The landscape back then, both on and off the track, was somewhat different. Hell, Bill Clinton was still President of the United States of America. September 11 was just a day like any other, there was a calm before the storm. The signs of the impending troubles were there for those with eyes to see but most of us were dazzled by the prosperity and freedoms, that, we in the West, enjoyed to the full. The Promised Land indeed. 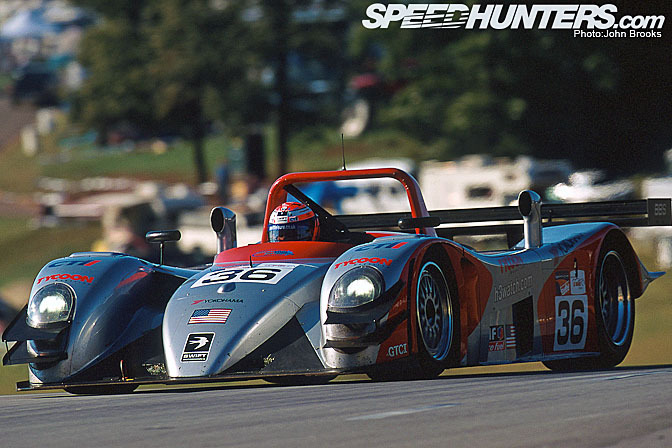 The American Le Mans Series was in its second season and in a really robust and healthy shape, nowhere more so than in the Prototype class. 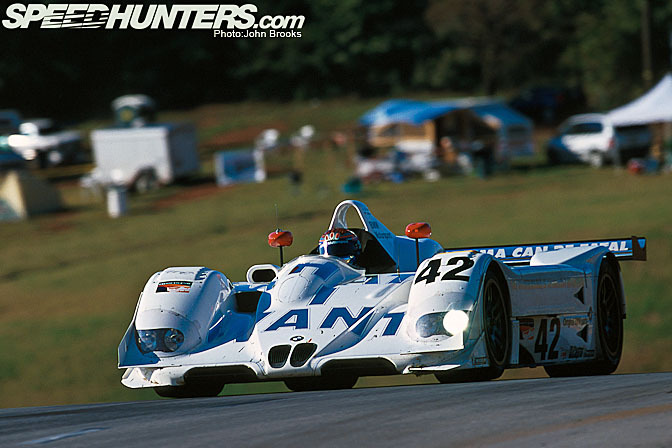 The ALMS had regular entries from factory Audis, BMWs, Panoz' and Cadillacs plus some good privateer efforts. 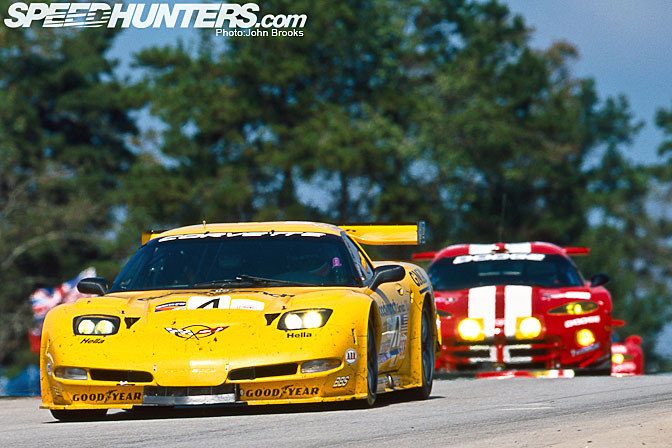 There were two GT categories and fierce competition in both from the likes of Viper, Corvette, Porsche and BMW. It was a golden era, though those of us who formed up as the foot soldiers of the circus assumed that it would always be so in North America. How wrong we were. Leading the pack were two cars for Audi Sport North America, this being the first year of the amazing Audi R8. The R8 would turn out to be one of the greatest sportscars of all time, winning everything and anything for the next six years. 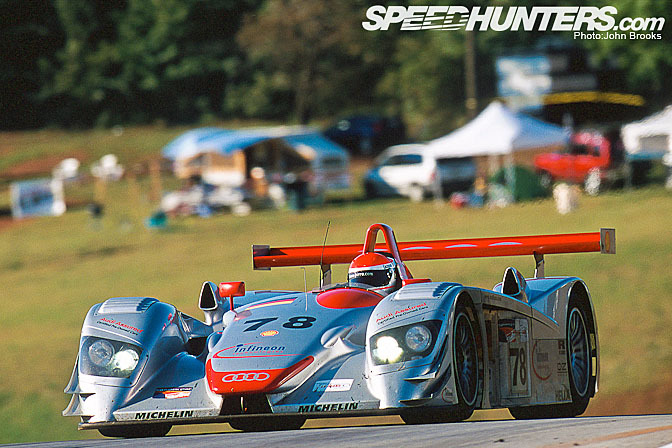 At Road Atlanta the driver line ups were in #77 Allan McNish, Dindo Capello and Michele Albereto, in #78 was Frank Biela, Emanuele Pirro and Tom Kristensen. With a mix of Audi and Joest personnel running the cars and having handling and power advantages, they were red hot favourites. With four wins in a row on the road to Georgia, Audi fully deserved the mantle. The opposition to the Audi steamroller came from two sources. As might be expected BMW Motorsport would be one of the troublemakers, teams run by Charley Lamm know no other way. 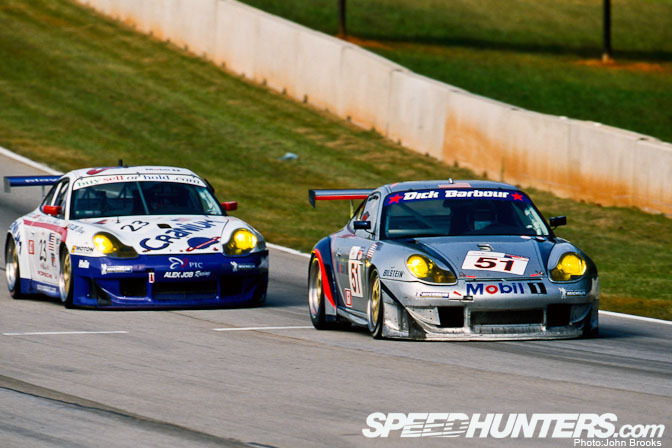 What would not have been expected was that Jorg Muller and JJ Lehto would arrive in Atlanta holding a narrow lead over the Audi lead driver Allan McNish. 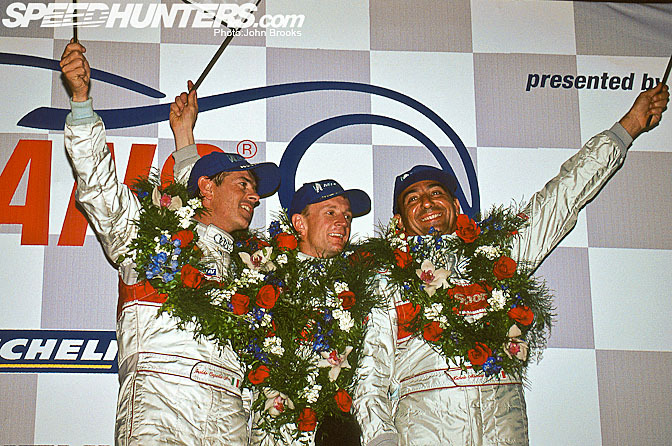 The lead was the result of early season wins at Charlotte and Silverstone, while Audi concentrated their efforts on winning the Le Mans 24 Hours. 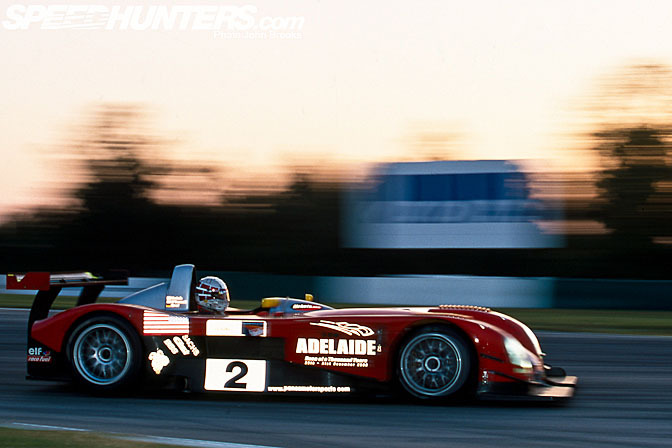 It was a deceptive position as all development ceased on the BMW V12 LMR at the time of their 1999 Le Mans win. ( I tackled that tale here, here, and here.) Budget and resource were henceforth to be allocated to the upcoming Formula One project and we all know how well that turned out. 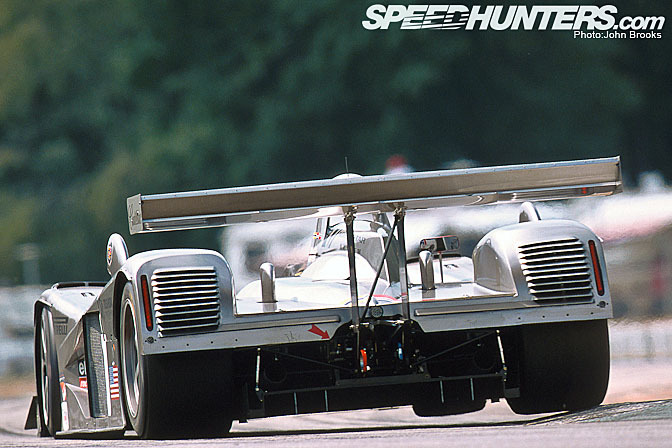 The lack of development really hit hard as there were substantial aerodynamic changes in the prototype class in the fall out from the trio of Mercedes Benz flips during the 1999 classic. Read about that here. Audi, with a brand new car, were able to accommodate the changes to their advantage, BMW did not have the luxury. So Schnitzer did what they always do, concentrate on the pitstops, make the cars bullet proof and get the maximum out of the package. JJ and Jorg drove every lap as if it was a qualifyer in #42, Jean Marc Gounon and Bill Auberlen tried to match them in #43. During the week of the race BMW announced its new commitment to Formula One, Touring Cars and GTs, it was the end of the line for the V12 LMR. 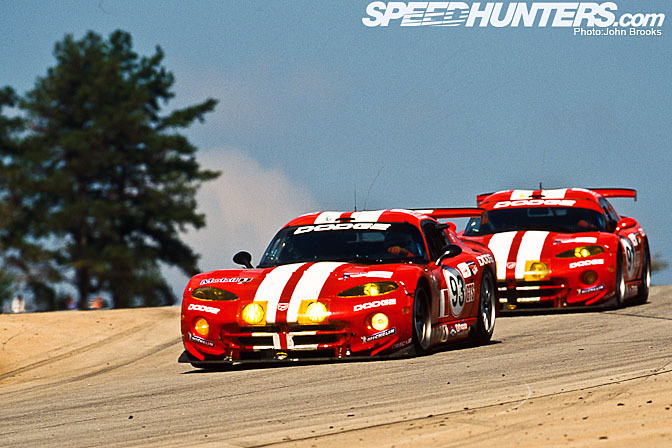 The third contender for victory was the Panoz team with their rumbling roadsters. Due to be the end of the programme for the LMP-1, with a new LMP-07 in the wings, the drivers in the #1 machine were achieving results that the performance of the car did not warrant, including a win in the grim conditions found at the Nurburgring. 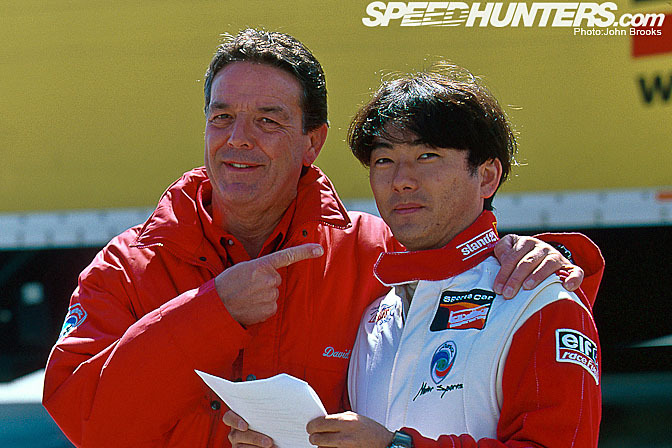 The team was led by David Price, veteran of the sportscar scene, here with Hiroki Katoh. DP's bunch of boys, a mix of locals and ex-pat Brits performed miracles on a tiny budget. 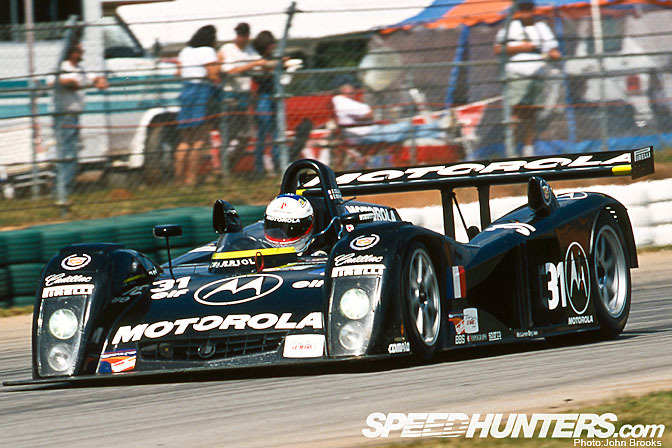 It helped having David Brabham and Jan Magnussen in the lead car. 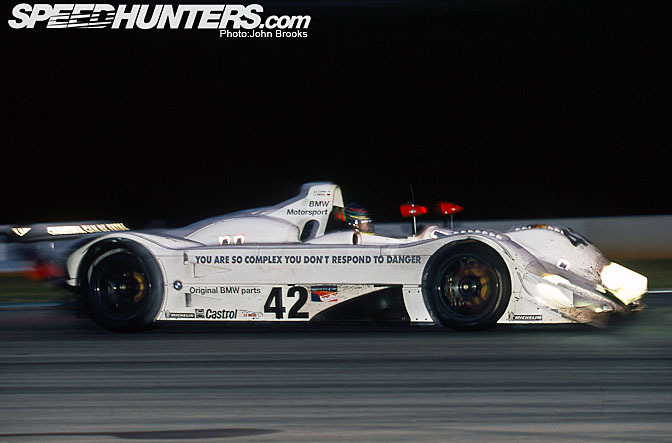 Like BMW, the changes imposed from 1999 by the ACO upset the balance of the LMP-1, making the car really tricky to drive on the limit. Nevertheless it would have been foolish of Audi to discount the Braselton Mob. The fourth factory protoype team was that of Cadillac and their Northstar LMPs. So much for the good news, the design was conservative and the budget was nowhere in comparison to Audi but even so the results were woeful. The team was good, the driver line up had stars of the quality of Max Angelelli, Butch Leitzinger and Franck Lagorce on board, but the cars were bog slow and seemed impervious to development. By the time PLM came round it was clear that major changes to the project were necessary. 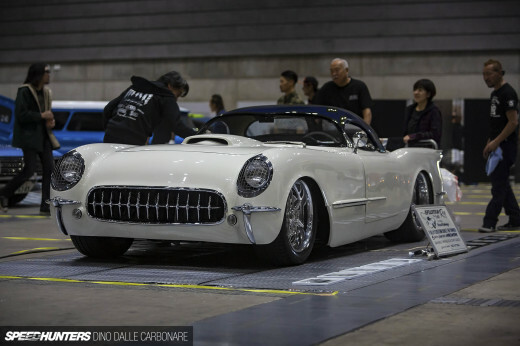 There was even a Cadillac customer team, run by the French outfit, DAMS. But they fared no better than the factory. 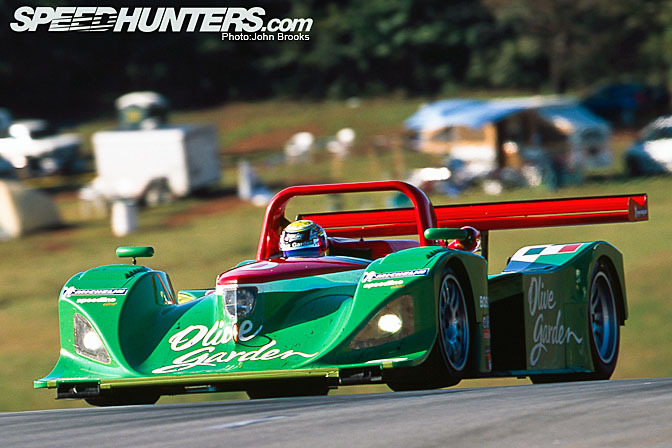 The top privateer team in the 2000 ALMS was the Lola B2K/10 Judd of Team Olive Garden Rafanelli. Always fast but hobbled by minor reliability issues the Italians arrived in Atlanta looking for a good result. 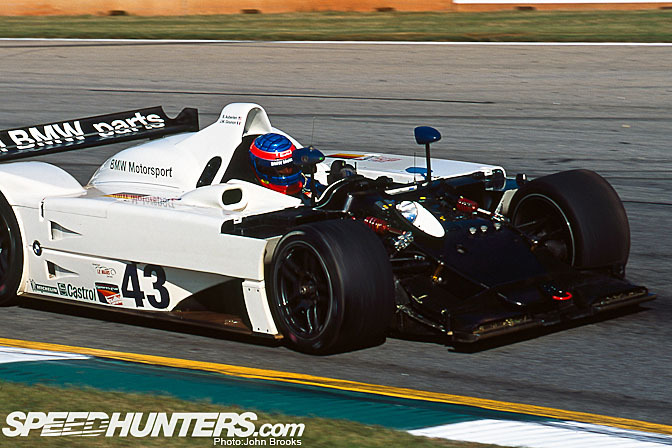 Konrad Motorsport was another team running a Lola but they struggled to stay with the leaders. Another leading privateer team was Johansson Matthews who had banked on getting a pair of Reynard Judds up to speed but the 2KQ was not one of Reynard's finest efforts. 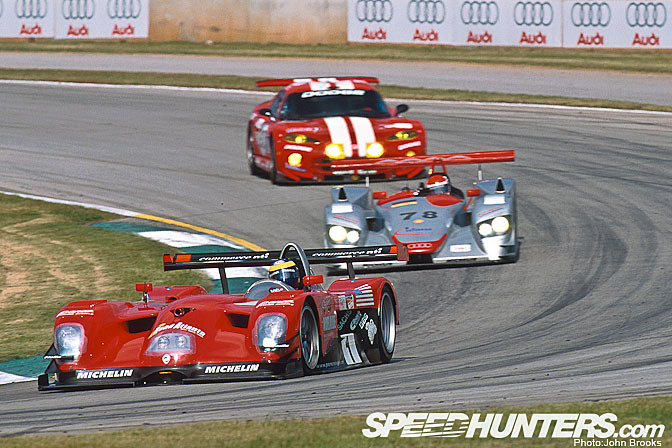 Though the car showed flashes of speed, particularly in the hands of either Guy Smith or Stefan Johansson, it was about to be abandoned in pursuit of a customer R8 for 2001. The GTS class battle was a Detroit Heavyweight contest. 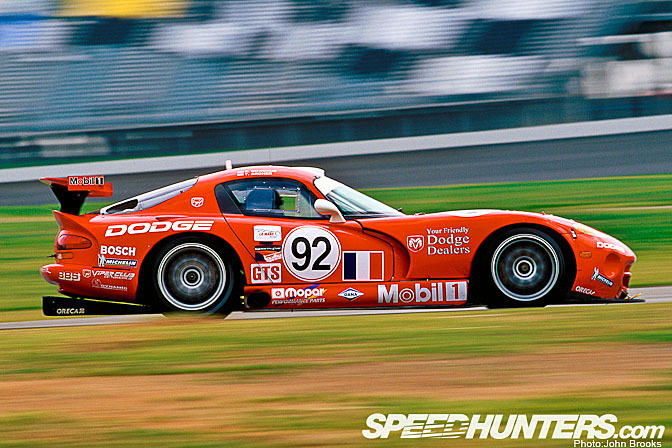 Ruling the roost was Team ORECA and their trio of Dodge Vipers. They had swept all before them in the previous two season at Le Mans, FIA GT and ALMS. 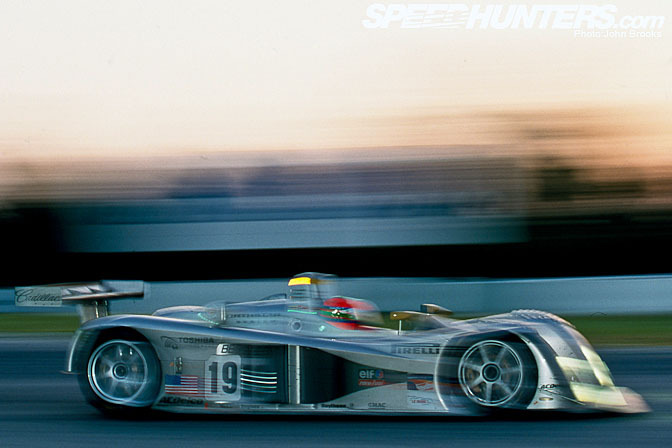 They had even won the Daytona 24 Hours outright earlier in the year beating the prototypes. 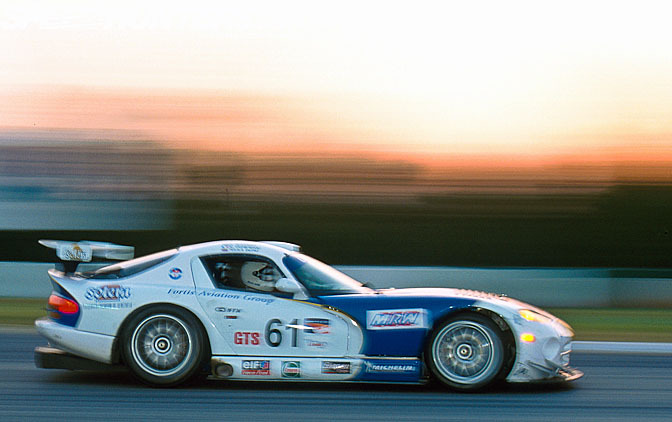 The Viper's crown was under severe threat from a pair of Pratt & Miller run Corvette C5-R. The yellow machines were being developed at a rate that would see them draw past the previously all conquering Vipers during 2000. 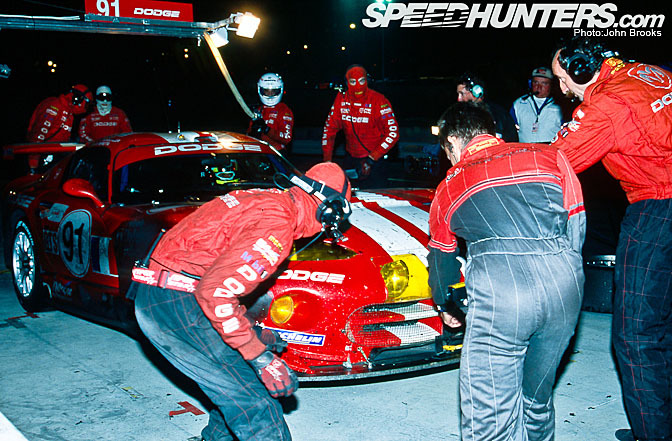 Indeed the last time the two teams met, in the furnace conditions of Texas, Vette had come out on top but that had been attributed to the heat and the failure of the Viper coolsuit systems. Atlanta would be a straight fight for supremacy. 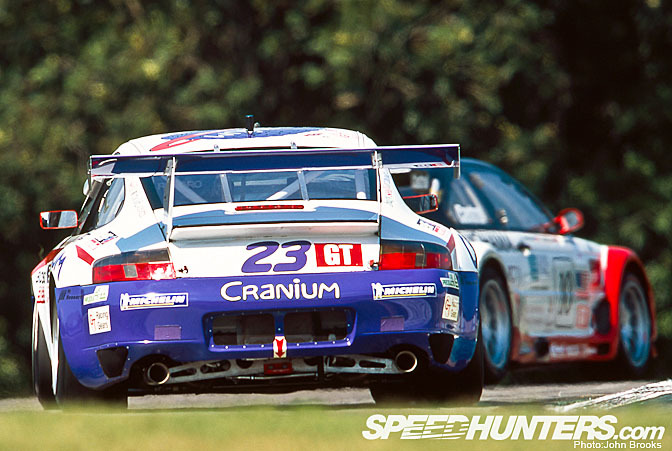 Now outdated, the fearsome Porsche 911 GT2 would only be there to make up the numbers in the GTS category. 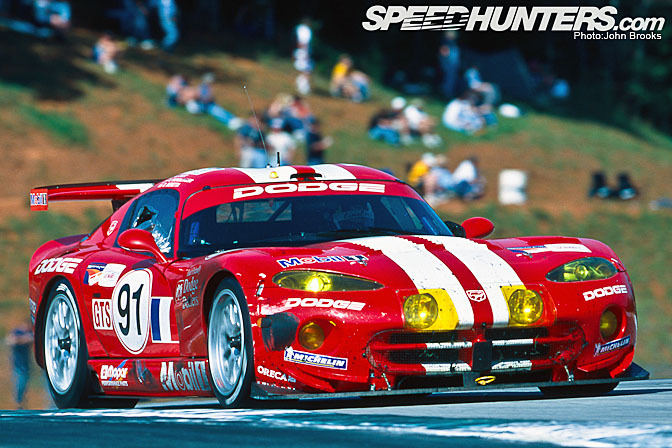 The Porsche would struggle to beat the privateer Viper of Chamberlain Engineering. 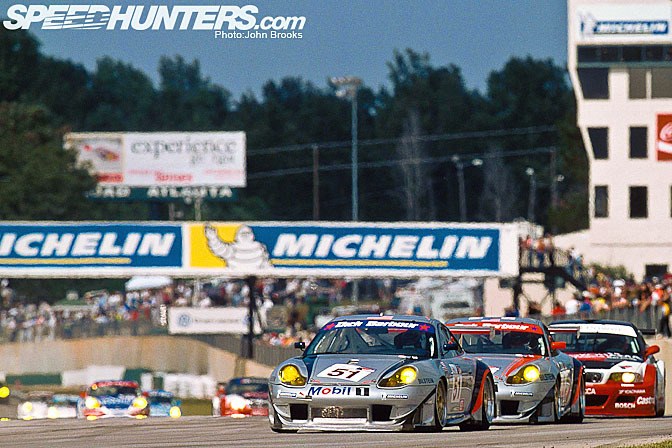 Porsche's focus had switched to the GT class and they provided no less than 13 examples at the 2000 PLM. Nice money if you can get it. There is always at least one team that Weissach bestows its favours on each year. You can usually tell by the allocation of factory drivers, so when Bob Wollek, Sacha Maassen, Lucas Luhr and Dirk Muller were parachuted into the newly formed Barbour Racing outfit, it was clear that, for 2000 at least, they were they chosen ones. The team lost its way a little after winning the class at Le Mans and then being excluded in a row about fuel tanks. Team manager Tony Dowe resigned over that debacle and the team ran short of funds. So a third car was entered for paying drivers. Some of whom were better known than others. 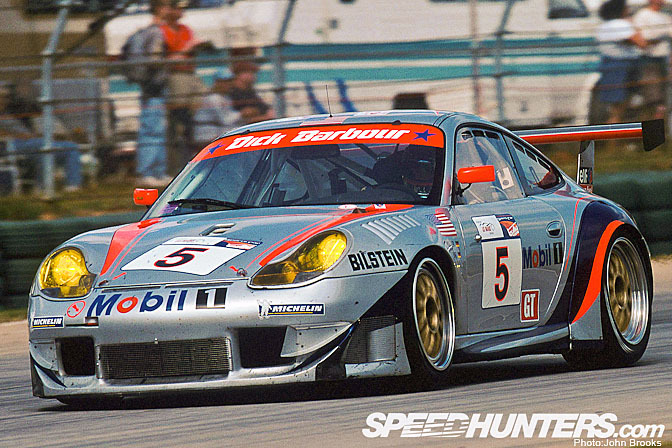 The main opposition to Barbour came from #23 Porsche 911 GT3-R of Alex Job Racing. A solid line up of Randy Pobst, Bruno Lambert and Anthony Lazzaro, reinforced the point when they snatched pole position. There were Porsches everywhere around the Road Atlanta track with MCR Aspen Knolls, The Racers Group, G&W Motorsport, Orbit and Seikel getting in on the act. Illustrating perfectly the international flavour of the 2000 ALMS was the participation of a two car Porsche team from Australia, Skea Racing International. Predictably McNish snatched pole from Biela but the #1 Panoz and #42 BMW kept them honest. There was the usual ballyhoo around the grid. Someone should have warned the Southern Belle about those two, especially my old mate on the left. A look at the results would suggest that this was a cake walk for #7 which took the win in just over 9 hours with a three lap cushion. The crowd who were there that that day would have disagreed. 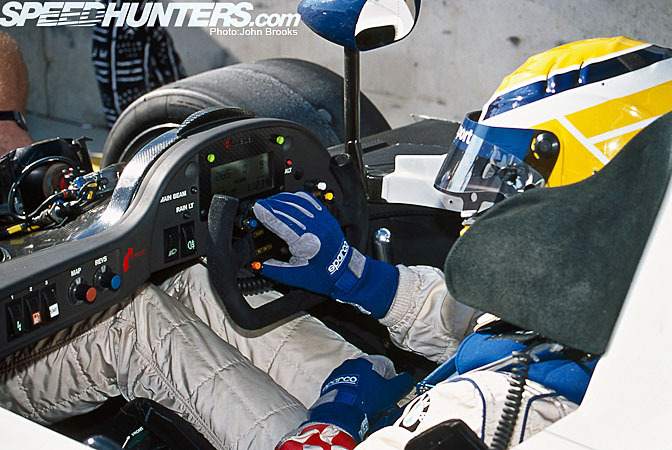 McNish hared off at the start and it was past the halfway point before #8 could get into the lead. Just after that Magnussen in the Panoz hit Biela's Audi causing damage to the diffuser that could not be replaced. In the end it required assistance from Capello in the #7 Audi to ensure that #8 kept second place from the charging Panoz. During the final stint the Italian was very wide in the Audi for several laps and by the time the Dane had got past the clock had run out. 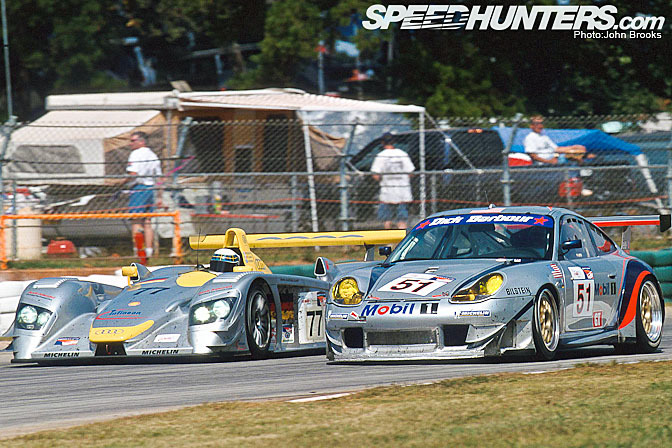 By sticking to the plan of slick pit work and flogging the car as hard as it would go #42 looked as if it would finish second, especially after the Panoz and the Audi indulged in a bit a handbagging. It is said that lightning never strikes the same place twice, someone should have told that to Jorg Muller. 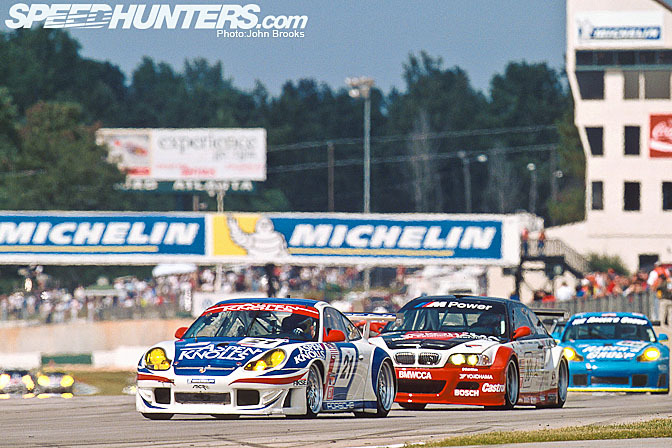 In 1999 at Atlanta, Jorg was cruising to victory, when he fell off and gifted the win to Panoz. The same problem happened to him in 2000, when late in the race he spun. This time the car was damaged and though Jorg got the V12 LMR back to the pits, repairs took ten laps, game over. The team refused to blame their German star, they knew just how hard he and JJ had been pushing, right on the ragged edge, taking enormous risks, to make up for lack of performance in the car. It is a strategy that will eventually bite you. #43 had an even worse day. Bill Auberlen joined the ranks of the YouTube stars when his V12 LMR became airborne (you can see it here). Fortunately he was not hurt and the car was repaired in time for the next race. 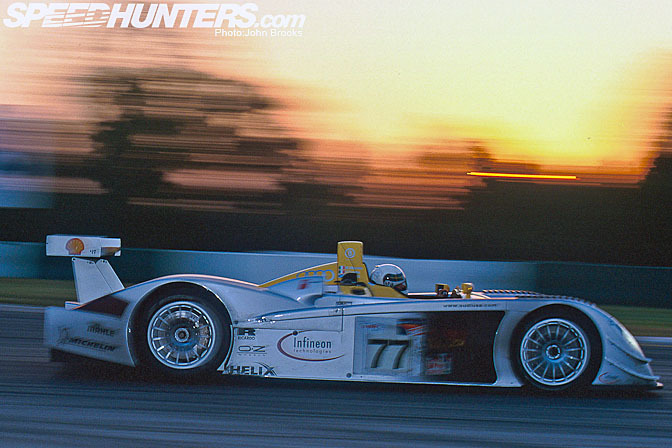 Trundling home after the Audis, Panoz and BMW were the factory Cadillacs. Three seconds a lap off the pace and 22 laps down on the winner was not acceptable, changes were underway for 2001, whatever was being blethered about in the PR releases. 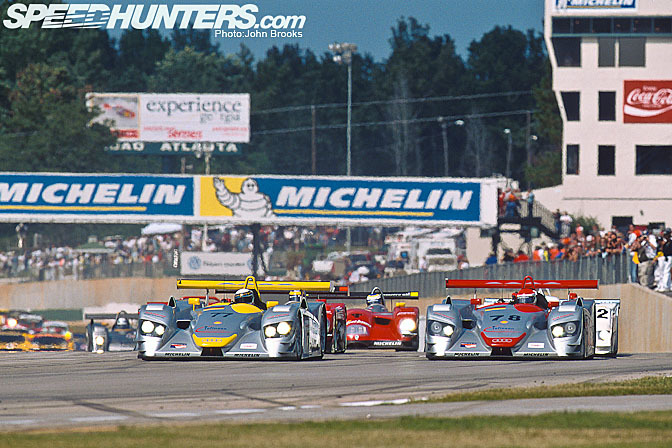 The privateer prototype entries had a shocking day as all retired after mechanical issues or accidents, the only finisher being the #32 DAMS Cadillac. Although beaten to pole position by the Corvettes it looked for most of the race as though the #91 Viper of Olivier Beretta, Karl Wendlinger and Marc Duez would take the honours in GTS. However battery failure with the flag almost in sight cost four laps and any chance of a win. So it was a straight fight between #4 Corvette and #92 Viper. It was settled a few laps from the flag when Andy Pilgrim pulled off "the move of the season" to take his Vette past Tommy Archer. 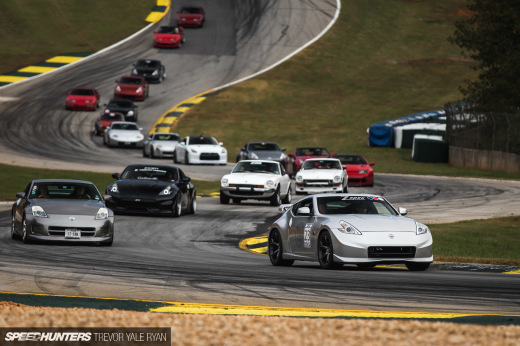 The contest in the GT class was no less hotly fought. The small but very effective Alex Job Racing's 911 GT3-R led for the first half of the race but then encountered transmission problems that mean second place was the best they could manage. the #5 Barbour car also had problems in the same area. 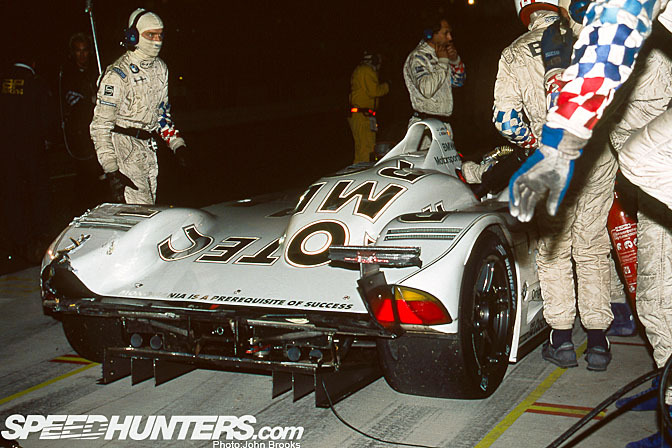 All of which meant there was an unlikely victory for Sascha Maassen and Bob Wollek in #51. The car had an oil pressure problem all the way through the race and was not expected to last but it did. Neither of the PTG BMW M3s finished, both having mechanical problems. That rounded out a pretty terrible day for Munich. No such thoughts for Ingolstadt as Allan McNish took victory and the lead in the driver's championship. Looking at the podium celebrations is a bitter sweet experience. I will see Allan and Dindo once more next week, but Michele Alboreto was killed six months after this shot was taken, while testing an Audi R8. 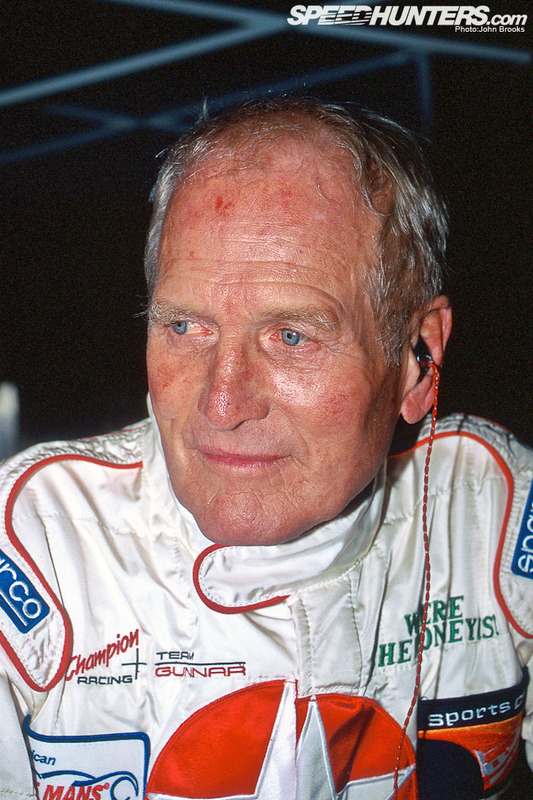 He was a real gentleman and a great driver, the last Italian to win a Grand Prix in a Ferrari. Rest in Peace, Michele. 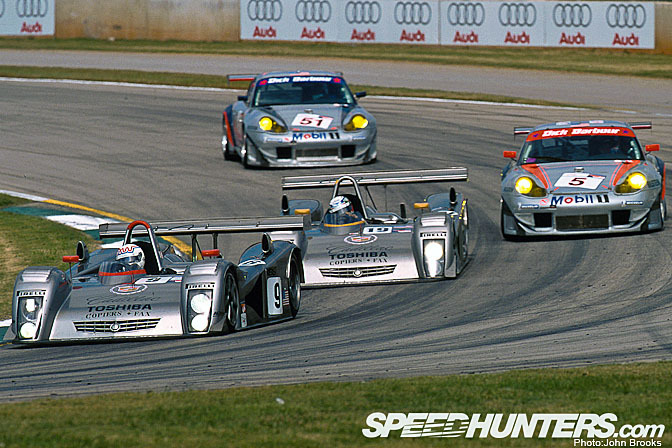 Petit Le Mans 2000 represented the start of the period of Audi dominance in the ALMS and Petit le Mans itself that lasted almost ten years. Will they be able to beat Peugeot next Saturday? Tune in and find out. Hey John great write up as usual. Know where I could find a video of Pilgrim's "Move of the Season?" you know how a bodily sense can trigger memories? i just had a 20 minute trip down memory lane. i skipped a few days in my senior year of high school to head up to atlanta to see this live. best weekend of my high school life. That was a real good memory jog - I remember reading about these results and deciding to head over to Adelaide for the "Race of 1000 Years" until I heard it was non-championship, then I decided "nah - wait 'til next year" as did a lot of my friends. Luckily my wife talked me around (aka you'll be unbearable if you miss it) so I went. I was so glad I did and my friends were so jealous I attended. There was never another one as we all know. I still dream of real endurance sports car racing visiting Australia again - don't care where, I'll be there! Are you going to be at this year's Petit John? If so I'll see you there! John your like a human racing encyclopedia!!! Great stuff as usualy, John! Can't wait to see your coverage of this year's event!